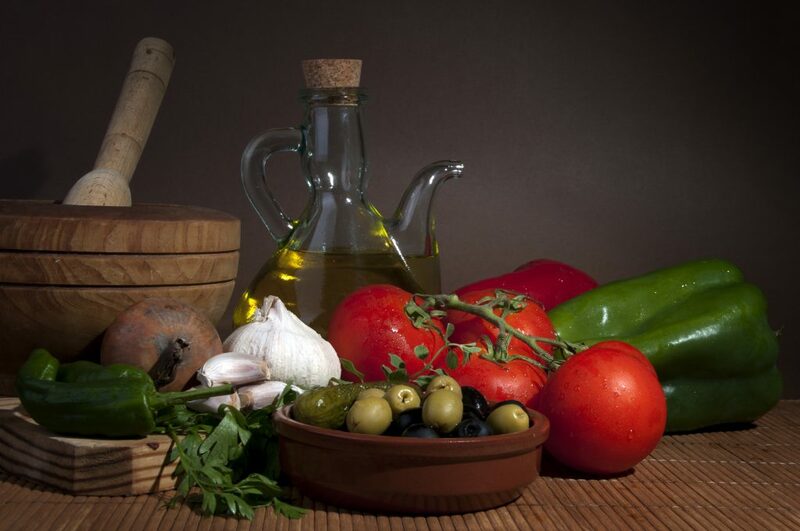 We’ve long heard that the Mediterranean Diet is how all of us should eat. The diet — inspired by the coastal cuisine of such countries as Greece, Italy and southern France — is characterized by its abundant portions of fruits and vegetables, frequent meals of fish and poultry, use of olive oil and spices for seasoning, and red wine in moderation. Red meat and butter are limited, and grains are mostly whole. The diet has been studied for its effects on heart disease, weight loss, cancer, Parkinson’s and Alzheimer’s diseases. And it’s arguably a more pleasurable way of eating than, say, the strict Paleo and Ketogenic diets, or the faddish but not necessarily effective low-carbohydrate diet. But it won’t work if you’re poor. That’s the latest finding from a team of Italian researchers, who studied 18,000 men and women over a four-year period. They found that the Mediterranean Diet reduced the risk of heart disease by 15 percent — but only for people who made more than approximately $46,000 a year. There were no observed cardiovascular benefits for people who made less than that amount. The study, which was published in the International Journal of Epidemiology, also found that highly educated people — who may be likely to have higher incomes — did better on the diet, in part because they selected a wider variety of vegetables and were more likely to eat whole grains. The more varied a person’s diet is, the more types of nutrients they consume. Highly educated participants were also more likely to buy organic food. So, it doesn’t just matter that you adhere to the tenets of the Mediterranean Diet; it matters what kind of foods you pick within its framework, how that food was grown and how you prepare it. The findings will inevitably contribute to the ongoing discussion of food inequality, or how access to healthful food is a tenet of social justice. We have long known that poorer Americans lack access to nutritious food and full-service grocery stores. They are more likely to rely on processed or fast foods. One recent study found that this nutritional gap is widening. “Price is a major determinant of food choice, and healthful foods generally cost more than unhealthful foods in the United States,” that study said. It also found a link between education and healthy eating, suggesting that programs teaching low-socioeconomic status people how to choose and prepare cheap, healthy meals — and the benefits they can derive from such choices — are important. And that’s what the Italian research team’s takeaway is. “These results support the need to adopt more effective strategies aiming to reduce socioeconomic disparities in health, not only by promoting the adoption of healthy eating patterns but also by facilitating access to foods with higher nutritional values,” they wrote.